Yesterday I made pumpkin pie. There’s usually a sense of achievement that follows after I take my finished bake good out of the oven. But with this pie, it was a different story. Apprehension is the best word for this situation. I will not tell you why until the end of the post. For now, I will show you photos. This by far will be the best example of how every baked good does not always taste like what it looks like. I should know best. I have had successes and failures in the kitchen and it can get pretty disheartening at times. That’s especially when you need to get that cake frosting right because you’re baking a birthday cake. At least now I know what to do and what not to do. Look at the closeup of the pie, can you see the texture? Does it look like pumpkin to you? Well it has a colour similar to pumpkin yes? Let me fill you in on an extra bit of information – it might look like pumpkin but it didn’t really taste much like pumpkin. I’m certain about that. I trust my tastebuds enough to know when they’re taking a holiday. I might not have a palate as refined as a critic at The New York Times but I am sure I can tell the difference between a pumpkin pie and a pumpkin pie that’s supposed to be a pumpkin pie but turns out to be more like a pumpkin pie-lookalike. I just had to know if the shortcut alternative would taste as good as something freshly made. Libby’s is a brand I’ve seen quite so often at the supermarket. Everytime I walk down that ‘baking help’ isle I can’t help but be enticed by that sweet promise of the possibility of having a lovely warm comforting pumpkin pie with just the twist of a can opener. Prior to yesterday I was careful not to be wooed by such promise of course. I take pride in being someone who puts in the extra effort to bake from scratch. Oh but you know how hard it can be sometimes. Especially those times when you really crave for something and are too tired to go the extra mile – which in this case involves me lugging home some sugar pumpkins, skinning them, baking them, pureeing them, and measuring out all the spices like ground cinnamon, ginger, cloves, etc. The entire picture seems pretty clear now. There is a reason why grannies make their pumpkin pies from scratch. I recently read on someone’s food blog that a friend had baked two pumpkin pies for a taste test and the one that won hands down was naturally and predictably the one with a homemade pumpkin pie filling. Reading that and having experienced my personal canned pie filling fiasco. I would not say it was a complete failure. Perhaps I should also attribute it to the fact that I DID NOT use evaporated milk as instructed. I did not have any at home and I had just got out of bed and was in no mood to leave the house (see, again, laziness!) so I made do with the only possible substitute I had in my fridge – some low fat milk mum had bought the night before. I guess that could have been one of the reasons why the pie didn’t taste that good. But I assure you that I did taste some of the pumpkin filling straight out of the can and was also unimpressed. Seriously, people who have used this pie mix, do they actually like it enough to give it a second shot? Maybe they do but I don’t. I hate to sound harsh but I know a bad pie mix when I taste one. Even more so when my brother, after tasting some of the finished pie, starts to ask my mum if there were tomatoes in it. He honestly thought it could have been a tomato pie. I took another taste and found his observation to be quite right. It did taste a bit like tomato ketchup and I found that highly disturbing. I had also failed to check the ingredient list. Again, silly me. Maybe I was trying too hard to believe that I could simply rely on a canned pie mix to satisfy my pie craving. Turns out that my pumpkin pie craving does not include one that tasted like ketchup. 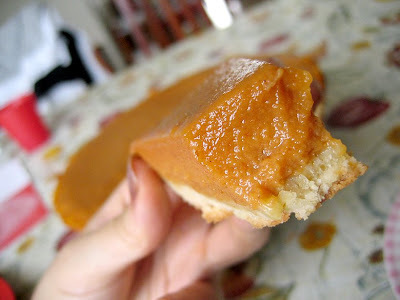 Oh how I would kill for a slice of fresh pumpkin pie right now, one with pumpkin filling NOT out of a can. I wish I still had slices of my crostata di mele from last week. Now that’s a perfect example of a pie we all ought endeavour to make once in a while, even if we’re really busy. Canned stuff can only fulfill so much of your expectations. It will never replace the real and freshly made deal. 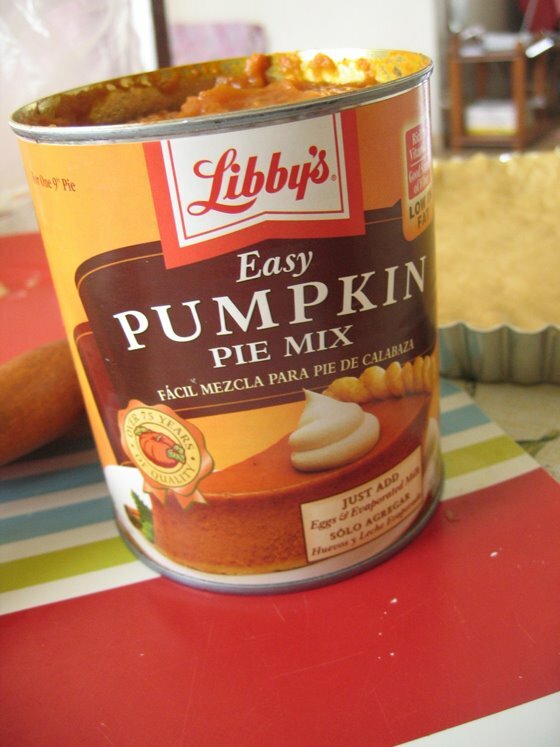 While I do love a good homemade pumpkin pie, I’ve used the Libby’s canned stuff several times in the past. The taste is a little off, but in a rush, it does quench that craving. Although its not that tasty, your pumpkin pie sure looks good. I get the Libby 100% Pumpkin Puree (not the pumpkin mix) & add in my own spices to it. If you have access to Traders Joe, they have a very good pumpkin pie spices that you add to the pumpkin puree. 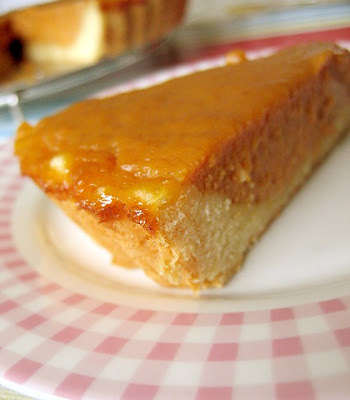 I think the evaporated milk gives the pumpkin a much creamy texture than low fat milk. I have been using elise's pumpkin recipe with very good results. I followed her pumpkin pie filling exactly as in the recipe, using TJ's pumpkin spice. Elise's recipe also gives you the amount of different spices if you cannot get TJ's. Hope it helps. Heres a link to her pumpkin pie recipe. hi there! my name is pearl and i came by your blog randomly. i wanted to say that your pictures are so adorable and look great! The convenient stuff is not always all that bad. 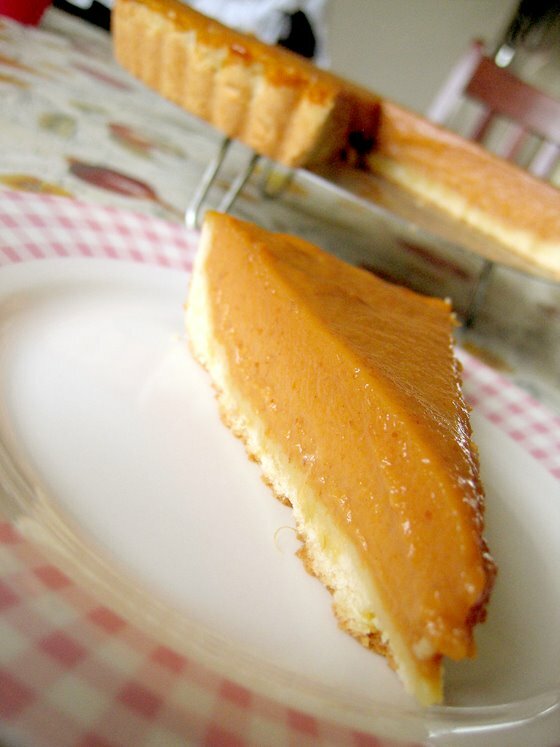 I tried using canned pureed pumpkin for pumpkin pie with good results especially when you’re baking for a crowd. That said.. nothing beats the sweetness of fresh butternut pumpkin..yummmm. the girl with a curl: yay, a kindred spirit! tell me about it.. we’re such snobs aren’t we ;p haha oh well my logic is always this: if i can get something real, which would probably taste 10x better, i would go that extra length to achieve it. that said, well we all have our lazy days don’t we! i’m glad you told me about elise’s recipe because I had book marked it way back but never got down to trying it (the same with a million other recipes i’ve favourited, printed and saved for a rainy day!). there are so many pumpkin pie recipes out there and i know it would have been a challenge to pick one but hey, i’m so going with Elise’s the next time i attempt a pumpkin pie, which i reckon is going to be real soon! pearl: hey pearl, glad you like my blog 🙂 thanks for your kind words!